Indonesia’s many local cultures seem united by a love of all things colorful, most notably, colorful fabrics. From island to island you can find many different patterns, colors, and methods, each with a distinct meaning and history. Although Indonesia is most famous for its batik, which has been declared an official “cultural heritage” item by UNESCO, there are many other beautiful fabrics being worn every day across the archipelago. This year our ETAs have donned batik, ikat, kerawong, and songket, and we wanted to share some of these styles! Batik refers to fabrics with patterns that are created by a process of resistance-dyeing using wax, or refers to the technique itself. Traditionally, there were variations in patterns and motifs that indicated castes and social hierarchies within Javanese aristocracy and ruling classes. The most ornate and colorful batiks may take many days or weeks to create, as the patterns must be drawn over and over again as the fabric is dyed and redyed, color by color. Batik tulis, or hand-drawn batiks, may come in fabric/wearable form, or as paintings, and are generally still quite expensive. Batik cap makes batik much more accessible– this is “stamped” batik, meaning that the patterns may be inspired by original batik designs and motifs, but the waxed is stamped onto fabrics, rather than hand-drawn. 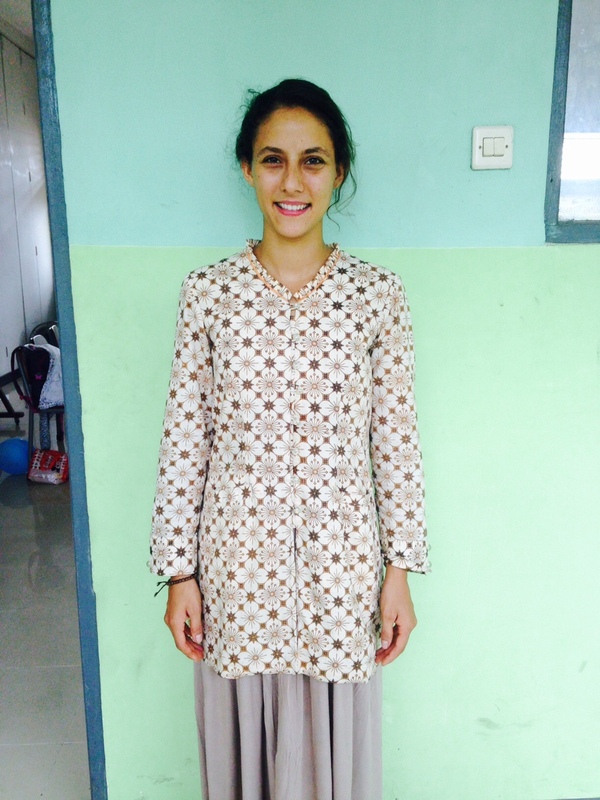 Cheaper still are the fabrics that use batik designs but are simply printed with the patterns. Colors and patterns of batik cloth vary across regions and may reflect local culture or history. Ikat refers to fabrics that are woven, generally using hand and hip looms. What’s so cool about ikat is that the patterns aren’t just created by choosing individually-colored threads across each row– the threads themselves are dyed into patterns, which are then woven into the larger pattern of the final fabric. That means a black and white pattern may not be created from black threads and white threads, but from threads that are dyed both black and white. Different areas of Indonesia use different weaving and knotting techniques, but Kalimantan and Nusa Tenggara Timur seem to use similar techniques. Ikat is most commonly found in Kalimantan, Nusa Tenggara Barat, and Nusa Tenggara Timur. 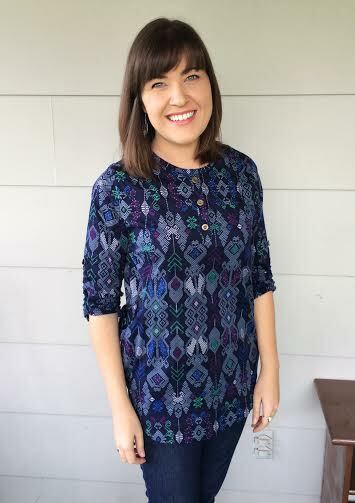 Like batik, different areas and regions have different techniques, motifs, colors, and patterns that make them distinguishable from one another. Kerawong or karawo is fabric that is embroidered with hand-woven designs. Unlike batik and ikat, the designs created by kerawong tend to be smaller, but are no less impressive and time-intensive to create. Some would argue the process is more complicated, as all of the designs must first be drawn and blocked before they are sewn. Kerawong is most famous in Gorontalo, a province in northern Sulawesi. 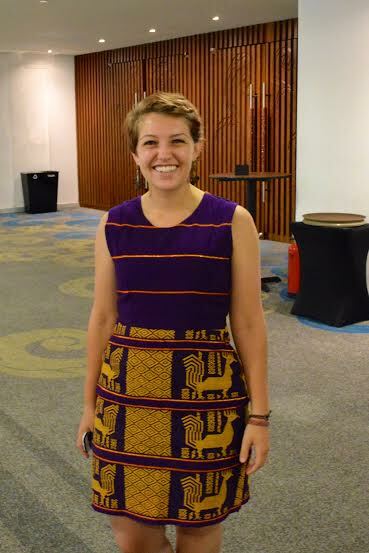 Sarah McClanahan, placed in Medan, wearing a traditional Batak batik from North Sumatra province. 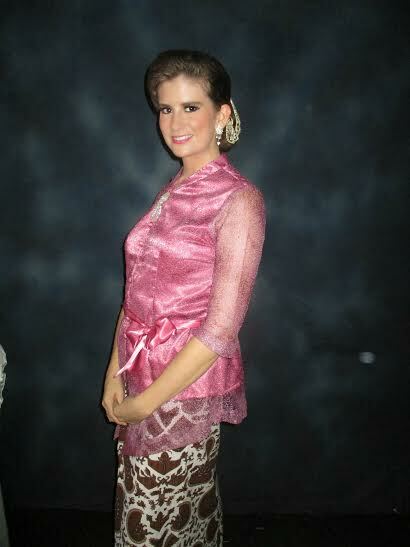 Lauren Raubaugh, placed in Kendal, wearing a traditional Javanese kebaya paired with a Batik sarong at a wedding. 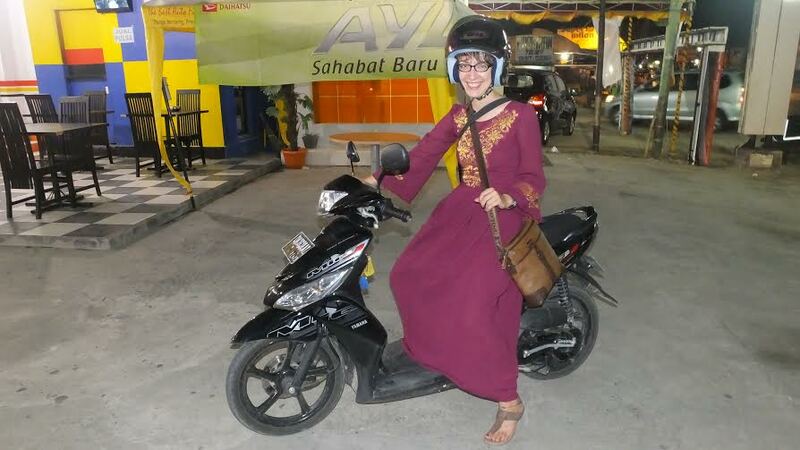 Rebecca Kulik, placed in Gorontalo, wearing a Krawong, traditonal Gorontalo fabric after a wedding. Chris Linnan, placed in Palangkaraya, wearing an official SMAN 2 batik from Palangkaraya. 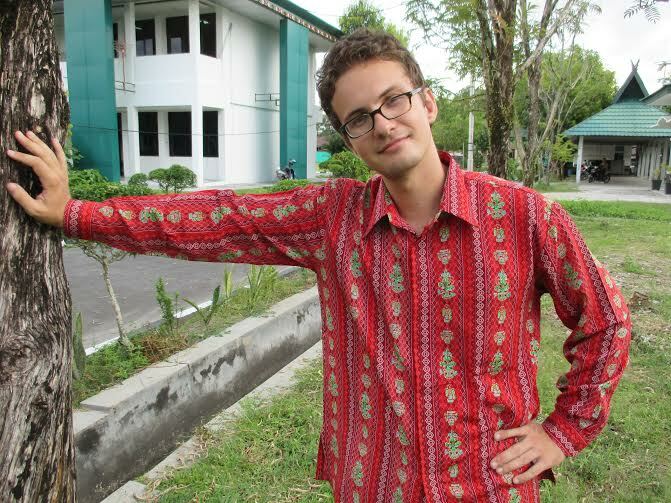 Josh Gehret, placed in Kupang, wearing an ikat from Sabu, an island in NTT. 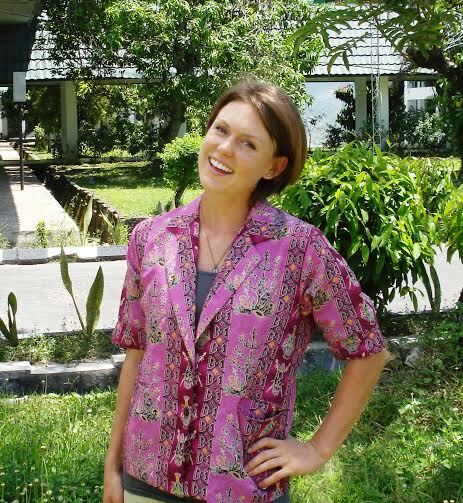 Emily Masters, placed in Palangkaraya, wearing an official SMAN 5 Palangkaraya batik. 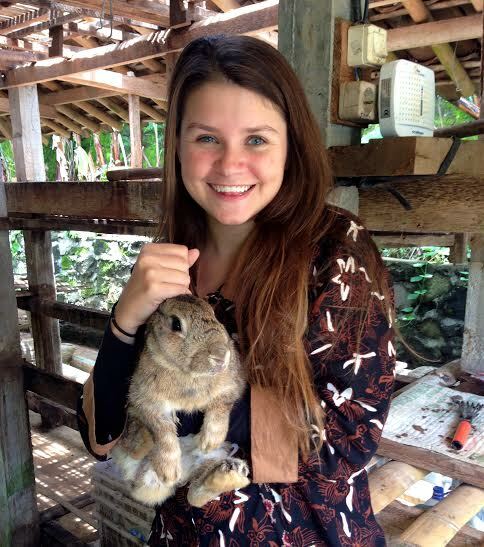 Annabelle Wilmott, placed in Yogyakarta, wearing a batik from Yogyakarta. 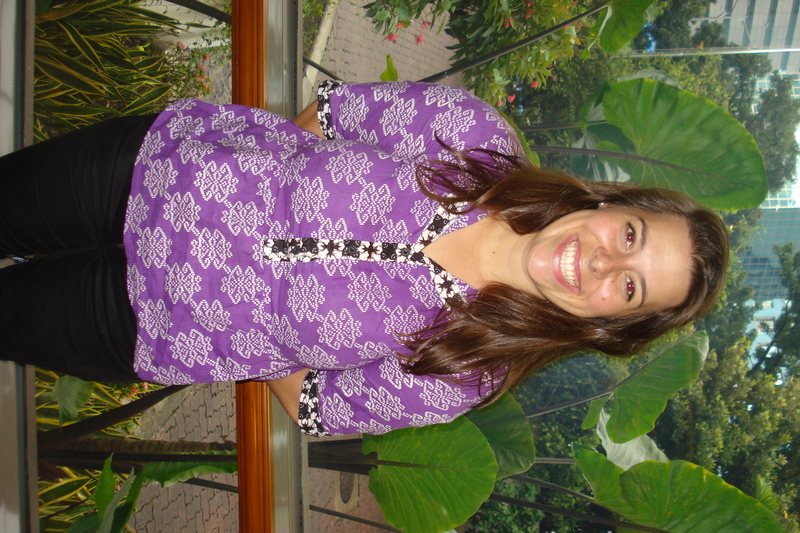 Blair Southworth- Southworth, placed in Pontianak, wearing a batik from Pontianak.